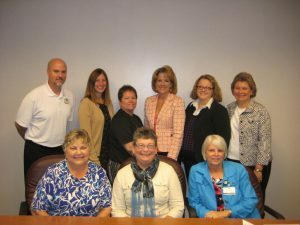 The City of Kettering Volunteer Advisory Council consists of 12 members appointed by the Mayor. The members represent a variety of sectors, including business, nonprofit agencies, faith based organizations and volunteer groups. Ex-officio members are appointed by the Mayor as appropriate. The Advisory Council meets the third Wednesday of the month at 8:30 a.m. at the Kettering Government Center. Give suggestions and advice for promoting volunteerism in the City of Kettering. Share insights and expertise and make recommendations on the role of the City in volunteerism and on City volunteer programs. Lend support to the volunteer administrator in development of the Volunteer Kettering program.